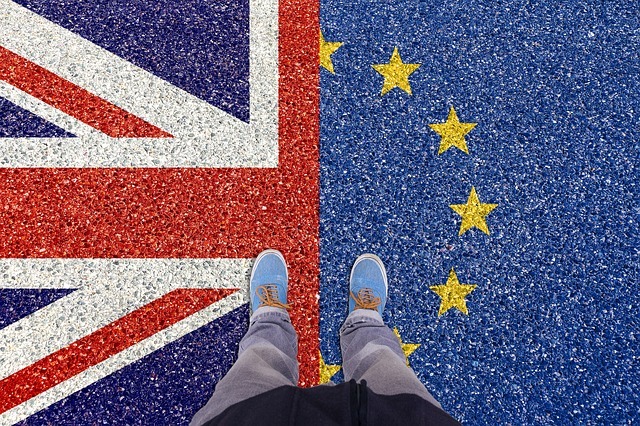 With Brexit still rumbling on, Mike Sweeney, Senior Legal Counsel at brand protection provider Incopro, has provided his thoughts on the three possible scenarios of Brexit and what it could mean for UK Intellectual Property rights and businesses. A “no deal” Brexit means exiting the European Union without any kind of formal arrangement in place in terms of a future relationship between the UK and EU. Since UK trade mark law is largely harmonised with European Union trade mark law, this has serious implications for rights holders; many businesses in the UK own intellectual property rights which are granted or otherwise administered by a European Union body – for example European Union Trade Marks and the European Union Intellectual Property Office. The position in relation to EU Trade Marks (“EUTMs”) is (currently) that, in the event of “no deal”, the government will grant holders of existing EUTMs an equivalent UK trade mark, recorded on the UK Intellectual Property Office (“UKIPO”) register, at no cost to the rights holder. These rights will stand alongside the equivalent EU marks meaning they can be attacked, assigned, licensed etc separately and independently from the corresponding EUTM (resulting in additional burdens for brands in terms of policing, enforcing and administering rights). Rights owners are also expected to be given the option to opt-out of registering the new right. The Withdrawal Agreement contains provisions concerning “retained law” which, in simple terms, means that on Brexit, the law (including intellectual property law) will stay the same unless and until Parliament enacts legislation to change it. The key implications for brands are that from the date of exiting the European Union up until the end of the transition period (currently set to last until at least 31 December 2020), the law will effectively stay the same – which is good news. At the end of the transition period, existing EU Trade Marks (“EUTM”) will continue to have effect in the EU and will also automatically be converted into equivalent UK rights with immediate effect (and at no cost to the brand). This will however give rise to additional burdens for brands in terms of policing, enforcing and administering rights since they will exist independently from one another and are therefore able to be to attacked, assigned, licensed etc separately and independently from the corresponding EUTM. The government has sought wherever possible to give brands and rights owners comfort by maintaining the status quo after Brexit – exiting the EU pursuant to the Withdrawal Agreement largely achieves that goal. The Article 50 process can be stopped by the UK Government at any time. It can do this unilaterally (i.e without the need for buy-in from the EU). In those circumstances, the UK would continue as a European Union Member State on its current terms and would continue to be subject to (and benefit from) the intellectual property laws of the EU. Whilst it remains the Government’s firm policy not to revoke Article 50, the uncertainty which continues to engulf the Brexit process means that it cannot be ruled out. There may also now be a significant delay to Brexit, in view of Government failing (twice) to have won the “meaningful vote” in Parliament on the terms of the Brexit deal. If Brexit is delayed, businesses and brands will have to endure further uncertainty until the Government agrees a way forward. What happens from that point onwards is frankly anyone’s guess!